The Columbia root-knot nematode, Meloidogyne chitwoodiGolden et al., 1980 (Tylenchida: Meloidogynidae), is one of the most damaging nematode parasites of potato. It can cause economic damage in many cultivated plants and infest weeds. In this study, the reproduction of M. chitwoodiwas assessed in 19 potato cultivars and one candidate cultivar under climate chamber conditions, and the effects of M. chitwoodion plant growth were assessed in a greenhouse in 2014. Meloidogyne chitwoodireproduced well on the potato cultivars tested based on numbers of egg and egg mass, reproduction factor and egg mass index. There were approximately 2-fold differences between some cultivars according to minimum and maximum values of the number of egg masses (205 in Challenger and 423 in Adora) and reproduction factor (28.2 in Marabel and 58.6 in Adora). Some plant growth parameters were significantly different between nematode inoculated and uninoculated plants for each cultivar according to t-test. Additionally, significant percentage decreases for some plant growth parameters were recorded, including plant height (7.6-13.4%), fresh (14.6-24.5%) and dry (14.2-26.7%) weights of shoots, fresh (15.0-25.1%) and dry (16.2-26.2%) root. It was found that all potato cultivars tested were susceptible to M. chitwoodi, and the degree of adverse effect on their growth varied between cultivar. Kolombiya kök-ur nematodu, Meloidogyne chitwoodiGolden et al., 1980(Tylenchida: Meloidogynidae), patateste zarar yapan en önemli türlerden biridir. Birçok kültür bitkisinde ekonomik kayıplara neden olabilmekte ve yabancı otları enfekte edebilmektedir. Bu çalışmada, M. chitwoodi’nin Türkiye’de yaygın olarak yetiştirilen 19 patates çeşidi ve 1 aday çeşit açısından iklim odası şartlarında üreme durumu ve sera şartlarında bitki gelişimine etkisi 2014 yılında belirlenmiştir. Meloidogyne chitwoodi, elde edilen yumurta paketi sayısı, yumurta sayısı, üreme katsayısı ve yumurta paketi indeksine göre patates çeşitlerinin tamamında iyi derecede çoğalmıştır. En çok ve en az üreme görülen çeşitler arasında yumurta paketi sayısı (205, Challenger; 423, Adora) ve üreme katsayısı (28.2, Marabel; 58.6, Adora) açısından yaklaşık 2 kat fark olduğu belirlenmiştir. Bazı bitki büyüme parametrelerinde t-testine göre her çeşidin nematod inokule edilmiş ve edilmemiş bitkileri arasında önemli ölçüde farklılık tespit edilmiştir. Ayrıca, bitki boyu (%7.6-13.4), üst aksam yaş (%14.6-24.5) ve kuru (%14.2-26.7) ağırlığı, kök yaş (15.0-25.1) ve kuru (16.2-26.2) ağırlığını içeren bitki büyüme parametrelerinde önemli bir azalış tespit edilmiştir. Çalışmaya dahil edilen tüm patates çeşitlerinin M. chitwoodi'ye duyarlı olduğu ve bitki büyümesine olumsuz etkisinin çeşitlere bağlı olarak değiştiği belirlenmiştir. Al-Hazmi, A. S., A. A. M. İbrahim & A. T. Abdul-Razig, 1995. Host suitability of some potato cultivars to Meloidogyne javanica. Journal of King Saud University Agricultural Sciences: 7 (1): 103-107. Ateka, E. M., A. W. Mwang'Ombe & J. W. Kimenju, 2001. Studies on the interaction between Ralstonia solanacearum (Smith) and Meloidogyne spp. in potato. African Crop Science Journal, 9 (3): 527-535. Brinkman, H., J. M. Goossens & H. R. Van Riel, 1996. Comparative host suitability of selected crop plants to Meloidogyne chitwoodi Golden et al. 1980 and M. fallax Karssen et al. 1996. Anzeiger für Schädlingskunde Pflanzenschutz Umweltschutz, 96: 127-129. Brown, C. R., H. Mojtahedi & G. S. Santo, 1991. Resistance to Columbia root-knot nematode in Solanum ssp. and in hybrids of S. hougasii with tetraploid cultivated potato. American Journal of Potato Research, 68 (7): 445-452. Brown, C. R., C. P. Yang, H. Mojtahedi, G. S. Santo & R. Masuelli, 1996. RFLP analysis of resistance to Columbia root-knot nematode derived from Solanum bulbocastanum in a BC 2 population. Theoretical and Applied Genetics, 92 (5): 572-576. Brown, C. R., H. Mojtahedi & J. Bamburg, 2004. Evaluation of Solanum fendleri as a source of resistance to Meloidogyne chitwoodi. American Journal of Potato Research, 81: 415-419. Brown, C. R., H. Mojtahedi, S. James, R. G. Novy & S. Love, 2006. Development and evaluation of potato breeding lines with introgressed resistance to Columbia root-knot nematode (Meloidogyne chitwoodi). American Journal of Potato Research, 83: 1-8. Brown, C. R., H. Mojtahedi, L. H. Zhang & E. Riga, 2009. Independent resistant reactions expressed in root and tuber of potato breeding lines with introgressed resistance to Meloidogyne chitwoodi. Phytopathology, 99 (9): 1085-1089. Çalışkan, M. E., H. Onaran & H. Arıoğlu, 2010. Overview of the Turkish potato sector: challenges, achievements and expectations. Potato Research, 53 (4): 255-266.
den Nijs, L. J. M. F., H. Brinkman & A. T. C. Van der Sommen, 2004. A Dutch contribution to knowledge on phytosanitary risk and host status of various crops for Meloidogyne chitwoodi Golden et al., 1980 and M. fallax Karssen, 1996: an overview. Nematology, 6 (3): 303-312. Dinh, P. T. Y., C. R. Brown & A. A. Elling, 2014. RNA interference of effector gene Mc16D10L confers resistance against Meloidogyne chitwoodi in Arabidopsis and potato. Phytopathology, 104 (10): 1098-1106. EPPO, 2018a. EPPO Global Database. Meloidogyne chitwoodi distribution. (Web page: https://gd.eppo.int/taxon/ MELGCH/distribution) (Date accessed: 30 August 2018). EPPO, 2018b. EPPO Data Sheets on Quarantine Pests Meloidogyne chitwoodi. (Web page: https://gd.eppo.int/download/doc/167_datasheet_MELGCH.pdf) (Date accessed: 6 October. 2018). Evlice, E. & Ş. Bayram, 2016. Identification of root-knot nematode species (Meloidogyne spp.) (Nemata: Meloidogynidae) in the potato fields of Central Anatolia (Turkey) using molecular and morphological methods. 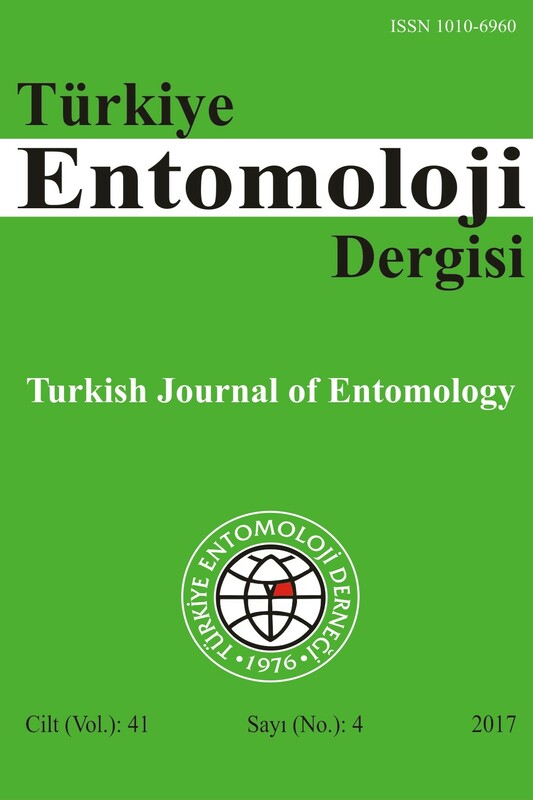 Turkish Bulletin of Entomology, 6 (4): 339-347. FAO, 2016. FAOSTAT-Agriculture. (Web page: http://www.fao.org/faostat/en/#data/QC) (Date accessed: 20 March 2018). Golden, A. M., J. H. Obannon, G. S. Santo & A. M. Finley, 1980. Description and some observations of Meloidogyne chitwoodi n. sp. (Meloidogynidae), a root-knot nematode on potato in the Pacific Northwest. Journal of Nematology, 12 (4), 319-327. Griffin, G. D., 1985. Host-parasite relationship of Meloidogyne chitwoodi on potato. Journal of Nematology, 17 (4): 395-399. Griffin, G. D., 1992. Comparative effects of two populations of Meloidogyne chitwoodi on Triticum aestivum and Hordeum vulgare. Nematropica, 22: 65-74. Griffin, G. D., 1993. Influence of temperature on the virulence of two races of Meloidogyne chitwoodi on wheat and barley. Journal of Nematology, 25: 454-460. Griffin, G. D. & M. D. Rumbaugh, 1996. Host suitability of twelve Leguminosae species to populations of Meloidogyne hapla and M. chitwoodi. Journal of Nematology, 28: 400-405. Griffin, G. D. & K. B. Jensen, 1997. Importance of temperature in the pathology of Meloidogyne hapla and M. chitwoodi on legumes. Journal of Nematology, 29: 112-116. Griffin, G. D., R. N. Inserra, N. Vovlas & D. V. Sisson, 1986. Differential reaction of alfalfa cultivars to Meloidogyne hapla and M. chitwoodi populations. Journal of Nematology, 18: 347-352. Hafez, S. L. & P. Sundararaj, 1999. Efficacy of seed crop meals for the management of Columbia root-knot nematode Meloidogyne chitwoodi on tomato under greenhouse conditions. Nematropica, 29 (2): 171-177. Hafez, S. L. & P. Sundararaj, 2002. Efficacy of chemical nematicides for the management of Meloidogyne chitwoodi on potato. International Journal of Nematology, 12: 76-78. Hafez, S. L. & P. Sundararaj, 2003. Efficacy of fosthiazate for the control of Meloidogyne chitwoodi on potato. International Journal of Nematology, 13: 201-203. Hafez, S. L. & P. Sundararaj, 2006a. Evaluation of fumigant and non-fumigant nematicides for the control of Meloidogyne chitwoodi on potato. Nematologia Mediterranea, 34: 147-149. Hafez, S. L. & P. Sundararaj, 2006b. Efficacy of fosthiazate for the control of Paratrichodorus spp. and Meloidogyne chitwoodi on potato. International Journal of Nematology, 16: 157-160. Hafez, S. L. & P. Sundararaj, 2009. Chemical management practices of Meloidogyne chitwoodi in a potato field in USA. International Journal of Nematology, 19: 203-207. Hartman, K. M. & J. N. Sasser, 1985. “Identification of Meloidogyne Species on the Basis of Differential Host Test and Perineal-Pattern Morphology, 69-77”. In: An Advanced Treatise on Meloidogyne Volume II: Methodology (Eds. K. R. Barker, C. C. Carter & J. N. Sasser). North Carolina State University Graphics, Raleigh, NC, USA, 223 pp. Hasan, H. H., S. Simon & A. A. Lal, 2014. Effect of selected botanical extracts against Meloidogyne incognita (Kofoid and White) Chitwood on potato (Solanum tuberosum L.). International Journal of Agricultural Science and Research, 4 (3): 101-108. Ibrahim, I. K. A., A. A. Mokbel & S. E. Hammad, 2014. Host suitability of some Solanaceous plant cultivars to the root-knot nematodes, Meloidogyne spp. Global Advanced Research Journal of Agricultural Science. 3 (5): 136-140. Ingham, R. E., P. B. Hamm, M. Baune, N. L. David & N. M. Wade, 2007. Control of Meloidogyne chitwoodi in potato with shank-injected metam sodium and other nematicides. Journal of nematology, 39 (2): 161. Mistanoğlu, İ., T. Özalp & Z. Devran, 2016. Response of tomato seedlings with different number of true leaves to Meloidogyne incognita (Kofoid & White, 1919) Chitwood, 1949. The Turkish Journal of Entomology, 40 (4): 377-383. Mohammad, A. B., Z. Eskandar, S. Saeid, J. Mohammad & M. Fariba, 2007. Evaluation of sulfosulfuron for broad leaved and grass weed control in wheat (Triticum aestivum L.) in Iran. Crop Protection, 26 (9): 1385-1389. Mojtahedi, H., G. S. Santo, J. H. Wilson & A. N. Hang, 1993. Managing Meloidogyne chitwoodi on potato with rapeseed as green manure. Plant Disease, 77: 42-46. Molendijk, L. P. G. & E. Brommer, 1998. Postponement of sowing reduces quality damage in carrots (Daucus carota) caused by Meloidogyne fallax. Mededelingen Faculteit Landbouwkundige en Toegepaste Biologische Wetenschappen Universiteit Gent, 63: 655-658. Norshie, P. M., T. H. Been & C. H. Schomaker, 2011. Estimation of partial resistance in potato genotypes against Meloidogyne chitwoodi. Nematology, 13 (4): 477-489. Nyczepir, A. P., R. N. Inserra, J. H. O’Bannon & G. S. Santo, 1984. Influence of Meloidogyne chitwoodi and Meloidogyne hapla on wheat growth. Journal of Nematology, 16: 162-165. Nyczepir, A. P., T. G. Beckman & G. L. Reighard, 1999. Reproduction and development of Meloidogyne incognita and M. javanica on Guardian peach rootstock. Journal of nematology, 31 (3): 334. O’Bannon, J. H., G. S. Santo & A. P. Nyczepir, 1982. Host range of the Columbia root-knot nematode. Plant Disease, 66 (11): 1045-1048. Oostenbrink, M., 1966. Major characteristics of the relation between nematodes and plant. Mededelingen Landbouwhogeschool Wageningen, 66: 1-46. Özarslandan, A., Z. Devran, N. Mutlu & İ. H. Elekçioğlu, 2009. First report of Columbia root-knot nematode (Meloidogyne chitwoodi) in potato in Turkey. Plant Disease, 93: 316. Özarslandan, A., M. İmren, A. Öcal & İ. H. Elekçioğlu, 2013. Bitlis ili patates üretim alanlarında kök-ur nematodu (Meloidogyne chitwoodi Golden, O’Bannon, Santo et Finley, 1980)’nun saptanması. Türkiye Entomoloji Dergisi, 37 (3): 389-395. Pinkerton, J. N., G. S. Santo, R. P. Ponti & J. H. Wilson, 1986. Control of Meloidogyne chtitwoodi in commercially grown Russet Burbank potatoes. Plant Disease, 70: 860-863. Pinkerton, J. N., G. S. Santo & H. Mojtahedi, 1991. Population dynamics of Meloidogyne chitwoodi on Russet Burbank potatoes in relation to degree-day accumulation. Journal of Nematology, 23: 283-290. Santo, G. S., J. H. O’Bannon, A. M. Finley & A. M. Golden, 1980. Occurrence and host range of a new root-knot nematode (Meloidogyne chitwoodi) in the Pacific Northwest. Plant Disease, 64 (10): 951-952. Santo, G. S., J. H. O’Bannon, A. P. Nyczepir & R. P. Ponti, 1981. “Ecology and control of root-knot nematodes on potato, 135-139”. Proceedings of the 20th Annual Washington Potato Conference (3-5 February, Moses Lake, Washington, USA). Washington State Potato Commission, Moses Lake, WA, USA. Santo, G. S. & J. H. O’Bannon, 1981. Effect of soil temperature on the pathogenicity and reproduction of Meloidogyne chitwoodi and M. hapla on Russet Burbank potato. Journal of Nematology, 13 (4): 483-486. Santo, G. S. & J. H. O’Bannon, 1982. Reaction of tomato cultivars to Meloidogyne chitwoodi and Meloidogyne hapla. Plant Disease, 66 (5): 406-407. Scholte, K., 1990. Causes of differences in growth-pattern, yield and quality of potatoes (Solanum tuberosum L.) in short rotations on sandy soil as affected by crop rotation, cultivar and application of granular nematicides. Potato Research, 33: 181-190. Silva, A. R., J. M. Santos, P. C. R. Hayashi & E. Hayashi, 2010. Reaction of potato clones and cultivars evaluated in greenhouse to Meloidogyne incognita, M. javanica and M. mayaguensis and in vitro to M. javanica. Nematologia Brasileira, 34 (1): 48-55. Smith, D. & A. H. S. Onions, 1994. The Preservation and Maintenance of Living Fungi. CAB International, Wallingford, England, UK,112 pp. Suffert, M. & N. Giltrap, 2012. EPPO Workshop on Meloidogyne chitwoodi and Meloidogyne fallax (2011-03-08): Importance for potato production and experience of management in EPPO countries. EPPO Bulletin, 42: 117-121. Ulutaş, E., 2010. Ege Bölgesi Patates Üretim Alanlarında Bulunan Önemli Bitki Paraziti Nematodların Belirlenmesi ve Bitki Gelişimine Etkileri. Ege Üniversitesi Fen Bilimleri Enstitüsü, (Basılmamış) Doktora Tezi, 92+XVIII s. Bornova, İzmir. Umesh, K. C. & H. Ferris, 1994. Influence of temperature and host plant on the interaction between Pratylenchus neglectus and Meloidogyne chitwoodi. Journal of Nematology, 26 (1): 65-71. Van Riel, H. R., 1993. Comparison of potato cultivars in relation to their level of external symptoms in tubers caused by Meloidogyne chitwoodi. Mededelingen van de Faculteit Landbouw, Universiteit Gent, 58/2b: 737-742. Van Riel, H. R., 1994. Populations dynamics of Meloiogyne chitwoodi on various potato cultivars. Mededelingen van de Faculteit Landbouw, Universiteit Gent, 59/2b: 791-800. Vovlas, N., D. Mifsud, B. B. Landa & P. Castillo, 2005. Pathogenicity of the root knot nematode Meloidogyne javanica on potato. Plant Pathology, 54: 657-664. Yıldız, V., Ç. Güneş, N. Bulun & U. Gözel, 2009. “Ödemiş (İzmir) ilçesi patates üretim alanlarında tespit edilen kökur nematodu: Meloidogyne chitwoodi (Goeldi, 1892, Nemata: Heteroderidae), 93”. III. Bitki Koruma Kongresi (15-18 Temmuz, Van) Bildirileri, 380 s.